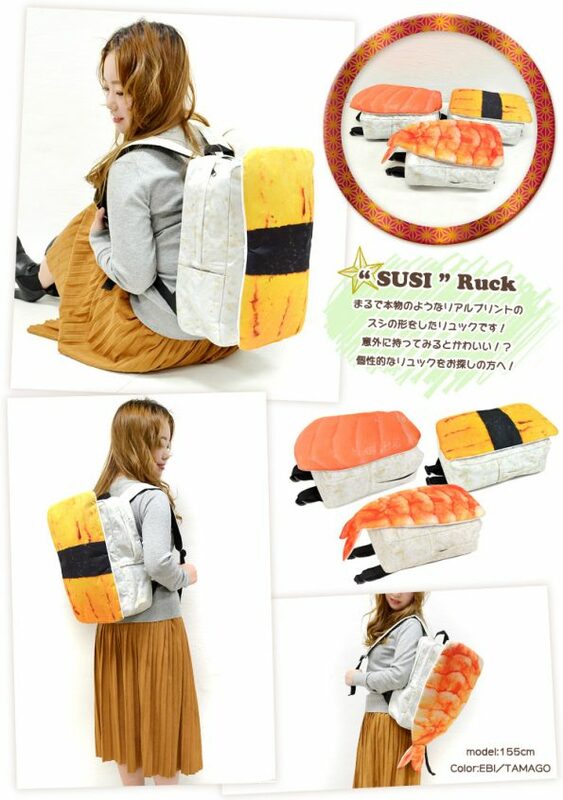 Sushi Backpack is designed by Turn Over and sold over at Rakuten Global Market for $50. 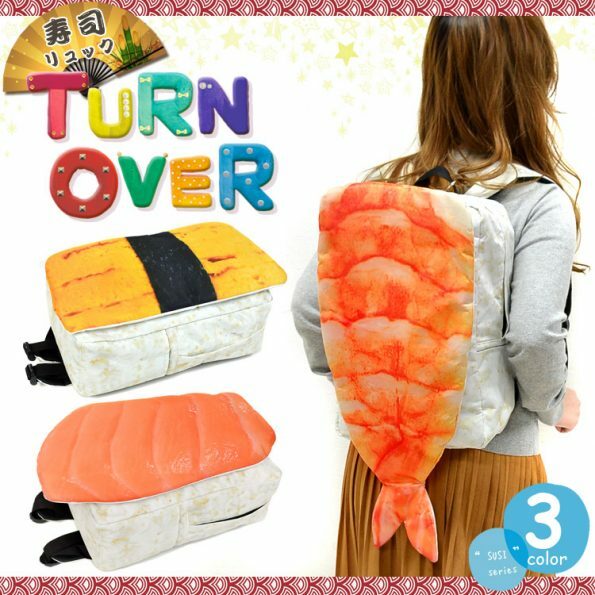 It comes in three styles: tamagoyaki, salmon, and shrimp. The bag packs looks awesome and yes they look tasty but don’t you dare take a bite of them! These are not food grade bags.